Bitrix24 is an initiative of Bitrix Inc., a privately-owned company owned and managed by its founders. It is a complete suite of social collaboration, communication and management tools for organizations. The solution empowers the businesses with comprehensive features to manage social network, tasks & projects, chat & video, documents, drive, calendars, mail, CRM, clients, telephony, HR, and many more from within a single platform. Bitrix24's mobile application functions as a mobile intranet portal, mobile CRM and a mobile HRMS system. Bitrix is a privately-owned company developing advanced business communication platforms to bridge SMBs with their customers (Internet), partners (Extranet) and employees (Intranet). Founded in 1998 and headquartered in Alexandria, VA, Bitrix now incorporates 100+ staff, 60,000+ customers and 7,000+ partners worldwide. Are you looking for a free task and project management solution with unlimited task, projects, Gantt chart and Kanban? Do you want to track time, issue quotes and invoices and manage clients? 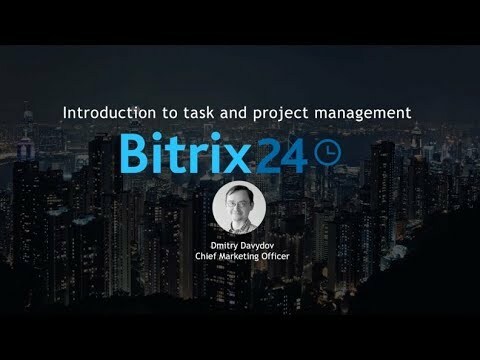 Check out what Bitrix24 has to offer. Q. How to buy a commercial subscription for my Bitrix24 Cloud account? For Cloud subscriptions (credit / debit cards, and PayPal): Select a subscription option on the following page: https://www.bitrix24.com/prices/ or log in to your Bittrix24 account using the account owner credentials (admin user account). Inside your Bitrix24 account, select a subscription option here: Settings > Subscription > [select subscription option] If provided, on the Checkout page, apply your discount coupon code. Proceed with your payment and billing information, select the desired payment method. For EU buyers, please make sure to input your valid VAT ID. When done - click "Pay now". Upon your payment confirmation, your Bitrix24 account will be activated with the purchased subscription option automatically. Q. How can I place my order for Bitrix24 Self-hosted version? For the Self-hosted version (credit / debit cards, PayPal, and wire payments): Authorize or create a new user account at https://store.bitrix24.com* Add the needed items into your Shopping Cart. Apply your discount coupon code on the Shopping Cart page. Then click the "Checkout" button. Proceed with your payment and billing information, select the desired payment method. For EU buyers, please make sure to input your valid VAT ID. When done - click "Pay now". After your payment is confirmed, commercial license keys (or subscription coupons) along with activation instructions will be sent to your email address. Q. How is Bitrix24 licensed? Bitrix24 Cloud version is SaaS, it is rented by our users. It is deployed, hosted and maintained by Bitrix Inc. in the Cloud. You can use your Bitrix24 account with a free subscription, or with a paid plan. Please see our plans and tariffs page. Bitrix24 Self-hosted version is licensed on "per-user basis". By default, each commercial license key includes 25 intranet users which can be extended by additional user coupons. It is fully customizable (color schemes, layout, menu items, header, footer, etc.) and provided with the full source code. It can be deployed and hosted by the end-user or by a Bitrix Partners. Q. Are there any discounts for non-profit / educational organizations? Educational, healthcare, and other not-for-profit organizations are eligible for a discount of 15%. To request a discount, please send a scanned copy of a request on company letterhead to sales@bitrix24.com or using the contact form. Indicate the service plan desired, the full name of the organization, and a scan of a document confirming the non-profit status of the organization. If your company is eligible, a coupon will be sent to you which can be applied to the purchase in the online payment system. Other discounts may not be applied unless specifically stated. Please note that this discount option is available for 6- or 12-month Cloud subscription plans or Self-hosted version.